It looks like scientists at MIT has given another reason for Kim Kardashian to take a selfie—Meet the camera that takes out the reflection when shooting through windows. Members of the MIT Media Lab’s Camera Culture Group have created a reflection-removing camera using a modified Microsoft Kinect One camera. Utilizing the Fourier transform, the camera measures the difference between the arrival times of light reflected by nearby objects versus more distant objects. So when taking a photo, it was able to separate its 45 frequencies by measuring the time it took for each to arrive at the camera’s sensor. This enables them to use algorithms to pick out which they want to keep. 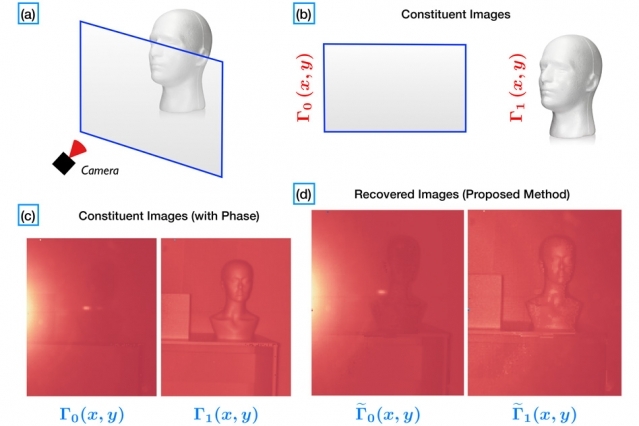 “The interesting thing is that we have a camera that can sample in time, which was previously not used as machinery to separate imaging phenomena,” says Ayush Bhandari, a PhD student in the MIT Media Lab and first author on the new paper.